Home / Blog directory / WebsiteSubbmition / What is Blog Directory ? How To submit Website ! What is Blog Directory ? How To submit Website ! 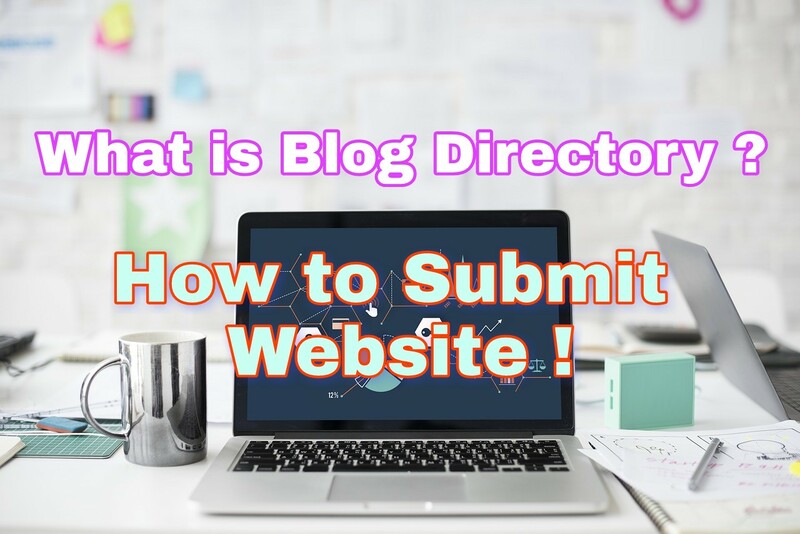 Blog Directory Submission: Hello Friends In today's article we are going to talk about the Blog Directory Submission, from which you can add your Blog / Website to the Blog Directory Sites and create Quality Backlinks and Improve Your Website's Ranking. Are there. When we talk about the internet, we know that there are so many things on the Internet through which we can improve the ranking of our website. Among them, Blog Directory Submission Sites is also an option. All the websites on these sites are placed in the list based on their Topic, Category etc. so that anyone can easily find any Topic website. Because Blog Directory Submission Sites are used extensively and it is very old, so their DA (Domain Authority) is also very high. 01: Featured Link - This is a Paid Link When you select this option and submit it to your website, you need to pay here and that directory immediately submits your website to Directory. 02: Regular Link with Reciprocal- Selecting this option gives you a Code or Website Link which lets you add it to your website. In this condition, the Directory quickly submits your website, which takes 4-7 days. 03: Free Link - On choosing this option, you do not have to pay any fees or add anything to your website. You can submit your website to Directory at Free, but at the same time you have to give a little time. For example: The URL of our blog is https://www.mobile75help.com or www.mobile75help.com. Similarly you also save your blog URL separately. Blog Titile: The name of your blog is the title of your blog, as the name of our blog is Techbyrs, so this should be our title. Similarly, write your own blog title. Most Directory Sites is a 1000 Words Need Requirement, in which you have to tell in detail about your blog, what is your blog on Topic, how much knowledgeable your content is, is unique etc. You can do this type of Content Write Save yourself so that you do not need to write repeatedly. Some Directory Sites With Big Description If you ask for a short description, then you should also write it further and write only about your blog should be just a small description. Entering enters you, and by entering an email Id, when it is indexed to your blog, you send an email to let you know that your blog is submitted to Directory Directory Sites, from which Directory Sites Your Blog Submit is not done You can write and submit again the second one. Meta Keywords: Now in Meta Keywords, you should write keywords of your Blog Topic, Categories or Focus Topics and when you write Tags, then insert Coma after all words so that it becomes Word Meta Keyword. In this way you can write all your necessary words. The above things we have mentioned above, first of all write them on a Word Pad, Notepad or MS Word, and in the last article, you have provided Links to many Blog Directory Sites. You can visit them on your website. Can submit. When you submit your blog to Directory Sites, your website is submitted in the directory of those categories which are related to your topic. Due to being referral from Same Topic, Search Engine gives Priority to your website and your website's Ranking Improve. Almost all Blog Directory Submission Sites provide you Do Follow Backlinks, because of this, Quality Backlinks are created for your blog and your website is ranked at the top rank on Search Engine, which also leads to the Increasing Throgh Traffic of Search Engine on your website. is. 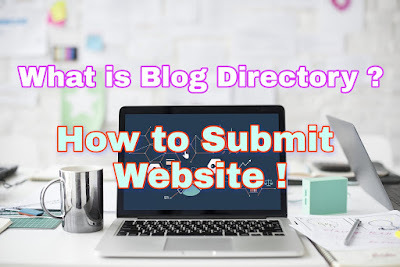 Blog Directory Submission is very important to you, so please do Directory Submission and Improve Your Blog's Ranking, through which you can get lots of traffic through Search Engine and you can get more Benefit from your Blog. If you still have any questions, please tell us in the Comment Box. We will try and respond to you as soon as possible and answer your question.